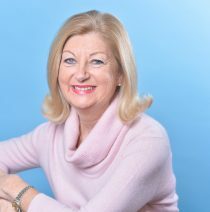 Having spent many years in education, the last nine years as a headteacher, Renee studied hypnosis and psychotherapy resulting in her postgraduate diploma with The National Register of Hypnotherapists and Psychotherapists. She has been in private practice since 2003. She has a special interest in the use of hypno-psychotherapy for the relief of stress and anxiety, phobias and simply helping people focus on getting more of what they want out of life: a solution-focused approach, since hypnosis can access parts of the mind to help change happen at a deeper level more quickly. Renee’s specialisms include hypnosis for childbirth and fertility. Renee has taught hypnosis for childbirth as a Faculty Member of HypnoBirthing-The Mongan Method for 14 years; teaching the teachers. She has lectured to student midwives in the UK and has been invited to teach midwives in Iceland at Reykjavik University and in Turkey. She has also taught obstetricians, psychiatrists and midwives from the universities of Istanbul and Izmir. She has two adult children and five grandchildren, all born using HypnoBirthing methods. Hypnosis has long been used as a way of helping with many issues which cause us distress. It can help us access a deeper part of the mind where change can happen more easily and more quickly and whilst we are really relaxed. It’s sometimes surprising to us to find out that we enter a hypnotic–like state naturally each day. When we are day dreaming, gazing into a fire, getting lost in a book or a film, we are in that state of re-directed focus. A session of hypnosis is extremely pleasant and can leave you feeling like you have had a refreshing sleep. This is a five session course, usually at weekly intervals. Mongan Method HypnoBirthing has a long proven record of working with couples to have an easier, more comfortable, more normal and instinctive birth, no matter what the circumstances. The course teaches breathing and relaxation techniques, labour and birth positions, massage, visualisation, self-hypnosis and the important role the birth companion plays in the birth. This approach also has great advantages for the baby, as when mum experiences relaxation, the baby does too, which is wonderful. Renee has been teaching this method for 16 years and has been commissioned by the NHS to train midwives. As far back as 1999, in a study of 132 “infertile women”, counselling and hypnotherapy were found to increase a woman’s chance of conception to 42% (Journal of the American Woman’s Association 1999). In a second study, published in 2000, 55% of previously “infertile” women who met regularly in a mind/body programme conceived with 20% of the control group, who used no mind/body techniques. (Fertility and Sterility 2000).